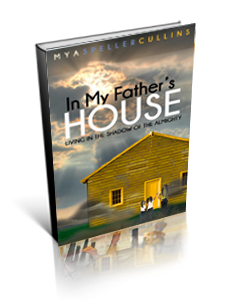 In My Father’s House is a direct revelation of God being an ever present help throughout the struggles life brings upon even the youngest child. The favor of God, coupled with his covering is exhibited throughout the childhood of this young girl and the numerous struggles she encountered while being brought up in the home of an individual who would later become her greatest stepping stone, and becoming a teenage mother, unaware of what destiny had lying in wait for her. God not only shielded her life but also the lives of her entire family. This protection is made evident through the outcome of God fulfilling a promise of the family’s life of “latter becoming greater!” In My Father’s House will offer peace to the brokenhearted and assurance that God is able to move mountains, especially during unforeseen times.